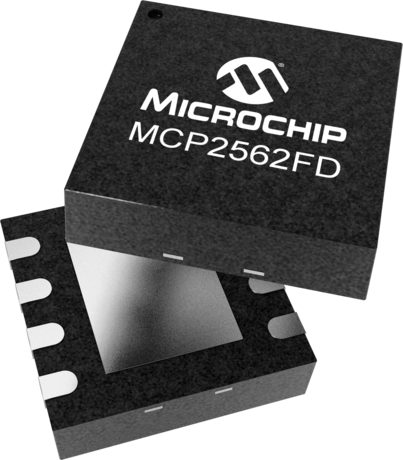 The MCP2561/2FD is a Microchip Technology Inc. second generation high-speed CAN transceiver. It offers the same features as the MCP2561/2. Additionally, it guarantees Loop Delay Symmetry in order to support the higher data rates required for CAN FD. The maximum propagation delay was improved to support longer bus length. The device meets the automotive requirements for CAN FD bit rates exceeding 5 Mbps, low quiescent current, electromagnetic compatibility (EMC) and electrostatic discharge (ESD). The device family members are MCP2561FD with SPLIT pin and MCP2562FD with VIO pin.